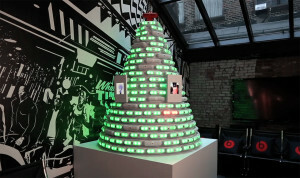 Powered by hashtag, #BEATSHOLIDAY, this Christmas tree twinkles with each use on Instagram and Twitter. Innovative creative goes a long way in making an impression, and this effort by Boston agency #ang for Beats by Dre is a sparkling example. 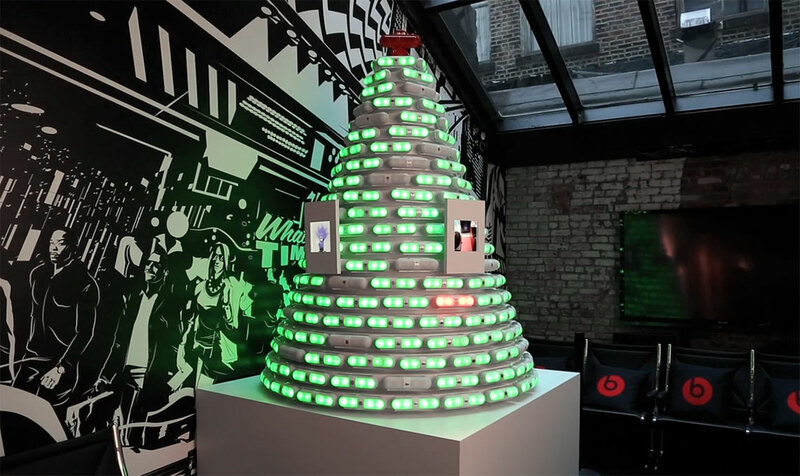 For the launch of Beats Pills they used the power of social media to physically light up a 6 foot Christmas tree made out of beats pills. On Instagram, when photos are tagged with #BeatsHoliday, fans instantly see their photos appear on digital screens that hang on the tree like ornaments. On Twitter, each time the hashtag #BeatsHoliday is used, red LED lights within the Beats Pills blink on and off. Brand-building, engaging, and fun! Great work A&G.